How is the crane rental market in India performing? The Indian crane rental market is seeing both ups and downs; we are seeing sales drop from a few sectors and an uptake from others. In the wind power industry, capacity addition dropped from 5.4 GW in FY16-17 to 1.7 GW in FY17-18. The coal thermal sector has been seeing a decline in the last 3 to 4 years. The steel industry is passing through a challenging phase with many companies going through bankruptcy proceedings. So, the crane rental market is seeing a lull in demand from these sectors. On the other hand, good demand has been noticed from cement, oil & gas, roads, bridges, railways and metros. The wind power sector is picking up with the projects awarded by Solar Energy Corporation of India (SECI). We’re optimistic that other sectors will eventually improve. How is the crane rental business of Sanghvi growing and in which sectors? With nearly three decades of experience, SML is the largest crane rental company in India and ranked the 6th largest in the world. We’re a publicly traded company and have around 50% market share in the crane rental market. SML has a fleet of 450 medium to large sized heavy-duty hydraulic telescopic and crawler cranes with capacities ranging from 20 MT to 800 MT. We are well positioned to provide cranes to various public and private sector undertakings and to major industries such as Power, Steel, Refinery, Cement, Metros, and Minerals and Metals. With the government’s thrust on infrastructure development, we’ve started providing solutions to roads, bridges, metros, and railways. As a BS OHSAS 18001:2007 certified company, our core competencies lie in procuring, maintaining and operating cranes, besides guaranteed availability of machines. We have a good track record for effective deployment of cranes at optimal rates, efficiency in operations, and adherence to time schedules. Our scope of work encompasses implementation of turnkey projects, providing well-maintained equipment, expert technical services and skilled manpower. Moreover, we have a strong regional network (from Assam to Gujarat and Kashmir to Kanyakumari) with 25 Depots across the country to ensure timely deployment of cranes to customers. What is SML’s strategy to stay ahead of competition? We are making heavy investments every year to keep our fleet up-to-date with the latest innovation, technology and products to provide best solutions and services to our clients. In the last ten years, we have invested around ₹2,000 crore in capital expenditure to increase our fleet strength. Our current fleet of equipment includes Crawler Mounted Cranes with Lattice Boom, Truck Mounted Cranes with Telescopic Boom, Truck Mounted Cranes with Lattice Boom, Hydraulic Multi Axle Modular Trailers, Forklifts and Pick-and-Carry cranes, amongst others. Most of the cranes used by SML are imported from Germany, USA, UK, Japan, and Singapore. We keep adding a new range of branded, trusted and high-tech cranes to cater to all kinds of market requirements. We also do a lot of preventive and periodical maintenance of the cranes at our depots by our team of well-trained technicians and experts. You have added JCB Loadall to your fleet. Please tell us its special applications. At big project sites, our clients require lower capacity material handling equipment for handling small material. In the lower segment, pick-and-carry equipment are mostly hydras, which, we believe, are not safe for operating at job sites, as the machines have certain technical limitations such as a lower capacity, less stability, and are more prone to accidents. We approached JCB because we were looking for stable equipment and are impressed by the technical efficiency, and overall quality of these machines. What are the features and USP of a Loadall? The Loadall has many dynamic features, the best feature being its versatility, which makes the telehandler a multi-purpose machine. 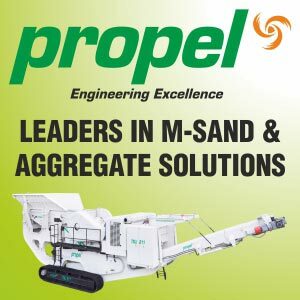 It comes with a variety of attachments such as the General-Purpose Shovel, Heavy Duty Forks, Bucket with Grab, Crane Hook, Grain Bucket, Power Grab, Man Platform and Drum Handlers, all of which enable the machine to do a variety of jobs on site, which enhance its overall utility. Its compact size makes it suitable for congested spaces on sites, and its all-terrain feature makes it useful for uneven ground conditions. How would you describe JCB Loadall’s efficiency, productivity and safety at construction sites, and what ROI are you anticipating? The Loadall’s robust structure ensures maximum strength in high stress areas. Its safety features include ROPS / FOPS cabin, Load Moment indicator with alarm, Hose Burst Check Valves, Stabilizers, and 4 Wheeled Drive for better traction. Since it's an efficient machine that increases the overall productivity of the jobsites, we’re optimistic of a good ROI. What product support is being rendered by JCB? JCB is a reputed and trusted brand and we’re happy to have its telehandler in our fleet. We always look for equipment with minimum breakdown and maintenance and the Loadall is as per our expectation. Since the time we bought it, the machine has been running smoothly and without any troubleshooting.